Affiliate linksPop quiz time. How often do you need to wear sunscreen? Answer: every single day, regardless of how sunny (or cloudy) it looks outside! 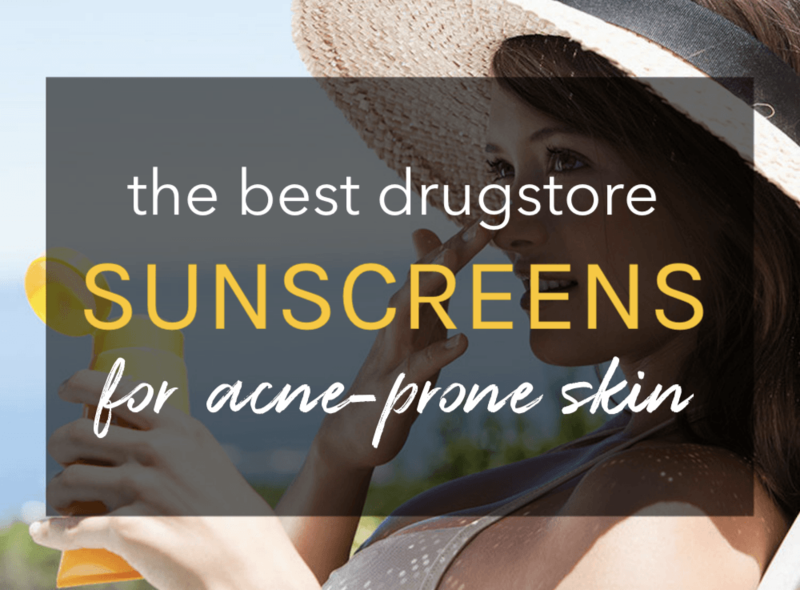 But summer is definitely the time to up your SPF game. And since you’re going to be wearing it daily, you obviously want to make sure it’s one that you like. That’s where moisturizers with SPF come in! Since nobody wants to walk around covered in traditional summer sunscreen all year long, a great moisturizer with SPF is the easiest way to protect your skin from premature aging—you know, those dreaded fine lines, wrinkles, hyper pigmentation and dark spots. Being a daily SPF devotee (and budget beauty babe), I don’t like to drop a ton of cash on everyday moisturizers. But that doesn’t mean I am not picky! 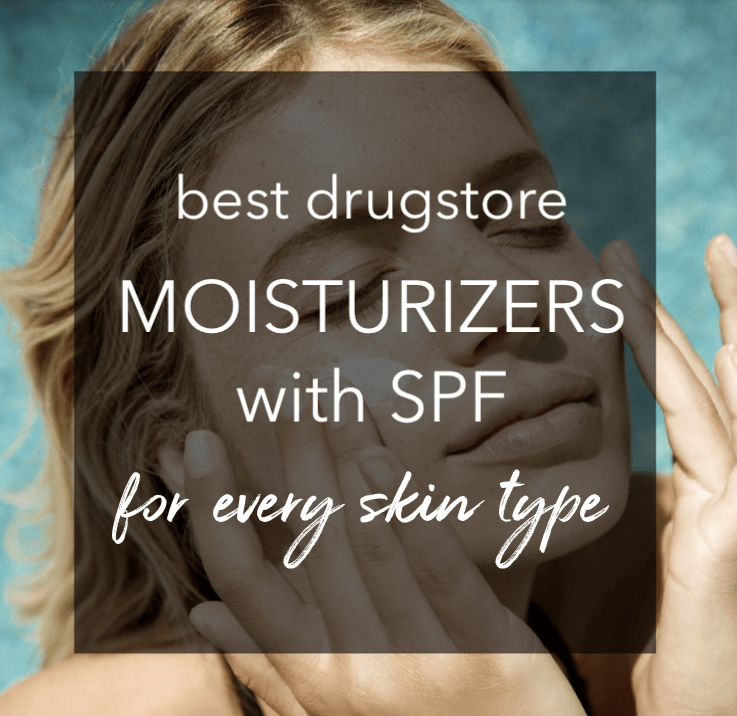 Ahead, I have listed the best drugstore moisturizers with SPF that are truly multi-tasking (while being elegantly lightweight) and deliver UV protection plus hydration and anti-aging benefits! Stock up on these super affordable multi-tasking moisturizers with SPF that slip sun protection into your skincare routine seamlessly…and your future face will thank you! Oily, acne-prone skin? This oil-free moisturizer with SPF is the perfect pick to get reliable sun protection without making your acne worse. It has an ultra-lighweight fluid lotion texture that feels lightly hydrating without being greasy or sticky. Not only is the formula non-comedogenic (won’t clog pores) but it actually absorbs excess oil. It dries down to a natural matte finish without any white cast or unwanted shine. Formulated specially for combination to oily skin, this lotion is truly lightweight and won’t turn you into a greaseball by lunchtime. Infused with Ceramides, it moisturizes with a matte finish and blends seamlessly with no white cast. It’s also great for acne-prone skin and wears well under makeup. Rich in antioxidants, this face moisturizer has a powdery-clean feel while its subtle tint blends easily with a matte finish (that stays matte!) In fact, it doubles as a great primer for oily skin and is one of the best sunscreens to wear under makeup because it doesn’t pill or make skin look greasy. This lotion is definitely one of the best matte drugstore sunscreens for oily skin! The only downside is that its beige tint isn’t very suitable for dark skin. This daytime moisturizer with SPF includes a gentle form of anti-aging retinol plus hyaluronic acid and ceramides, which means you’ll be protected from the sun, hydrated, and smoothing out your fine lines all at once. Talk about multitasking! And the lightweight formula sets quickly to a soft matte finish…score! This silky moisturizer feels wonderfully light yet leaves skin feeling soft, smooth and hydrated. 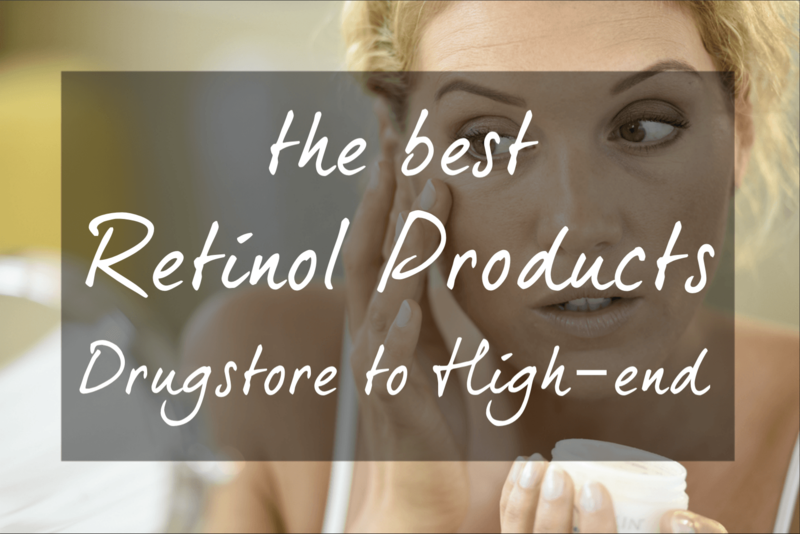 Not only does it offer reliable broad-spectrum sun protection but also treats skin to a great mix of anti-agers like peptides and antioxidants, plus it works beautifully under makeup. This antioxidant-rich moisturizer feels super light and gives you a long-lasting matte finish, which makes it perfect to wear under makeup. Truly sheer, it keeps your skin smooth, shine-free and hydrated without a heavy feel and won’t gunk up pores. It also helps to even skin tone and brighten skin with continued use, thanks to vitamin C and niacinamide! One of my long-time favorites, this lightweight, silky lotion sinks right in with a barely-there feel! It’s oil-free, so works well even for acne-prone skin like mine! The gentle, fragrance-free formula is also suitable for sensitive skin and contains soothing aloe, niacinamide, vitamin E and green tea. Perfect for normal to dry skin, this indulgent yet lightweight lotion glides on like a dream! It’s not at all greasy yet moisturizes nicely to keep your complexion hydrated and protected! There’s also an oil-free version of this lotion if you prefer something even lighter. In addition to its broad-spectrum sun protection, this moisturizing day cream also contains a prebiotic complex that helps restore skin’s natural protective barrier. Despite being hydrating, it sinks in quickly and doesn’t leave that dreaded greasy sheen. Also, it’s oil-free and non-comedogenic. 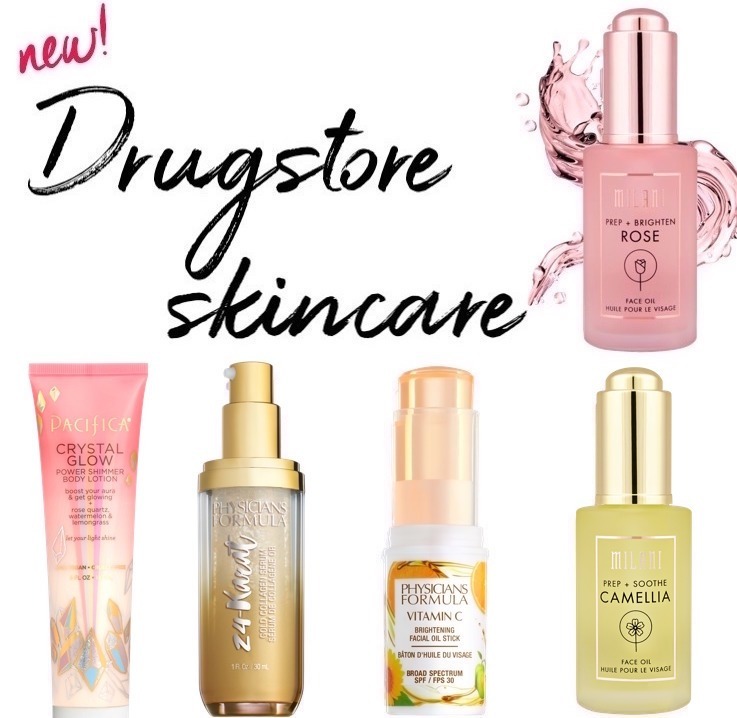 Broad-spectrum SPF, lightweight and oil-free yet hydrating with a healthy dose of anti-aging ingredients (like ceramides and hyaluronic acid), and no white cast — this drugstore moisturizer ticks all the right boxes for dry skin! Best of all, it’s inexpensive and generously sized! Perfect even for extra sensitive skin, this gentle tinted moisturizer with SPF contains 100% mineral sunscreen actives. True to its name, it provides a hint of coverage with a sheer luminous glow without feeling greasy or heavy! Not only that, the soothing formula is packed with a powerful blend of antioxidants, rosehip and argan oil, plus Vitamin C and hyaluronic acid for silky smooth skin…what’s not to love? There’s a lot to love about this drugstore tinted moisturizer with gentle, 100% mineral SPF that’s lightly hydrating with a smooth matte finish. Its sheer neutral tint tones down redness while offering light coverage to even out your skin tone. 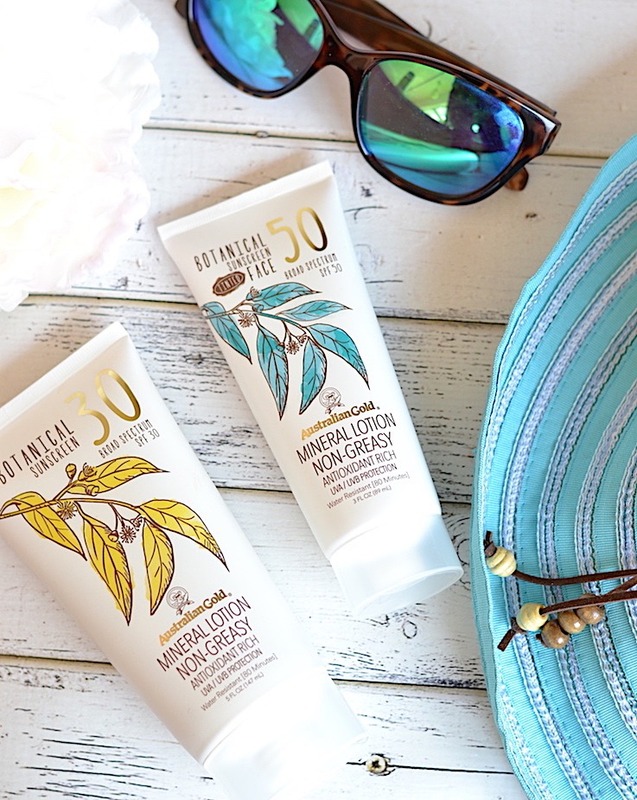 It also contains soothing antioxidants that help boost sunscreen’s effectiveness!